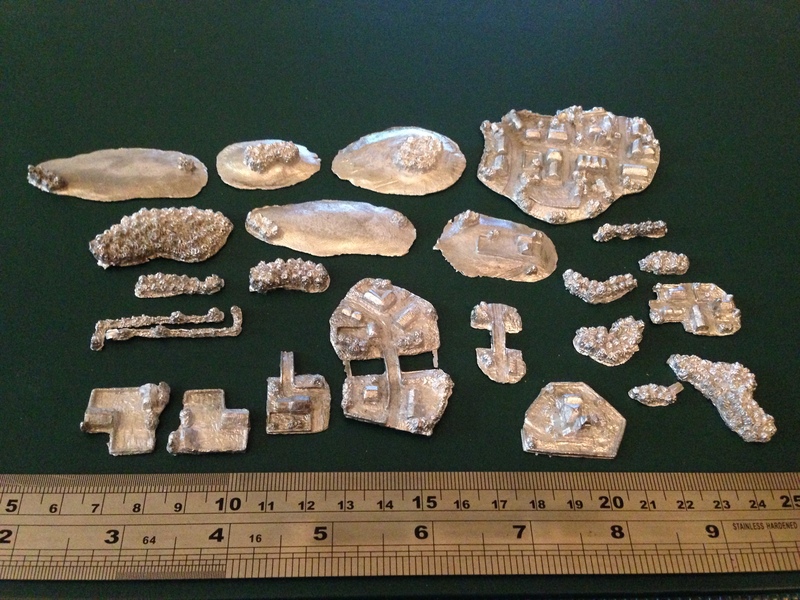 I mentioned the other day receiving a parcel from Irregular Miniatures that contained, in addition to the 15mm Khmer, some terrain for the Peshawar project. 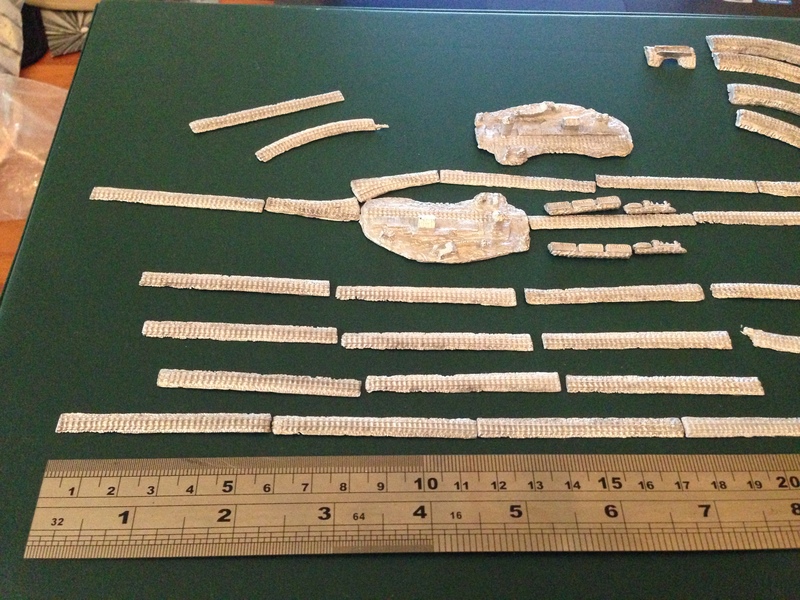 That is, 2mm scenery for my Aeronefs and eventually Land Ironclads to fight over. 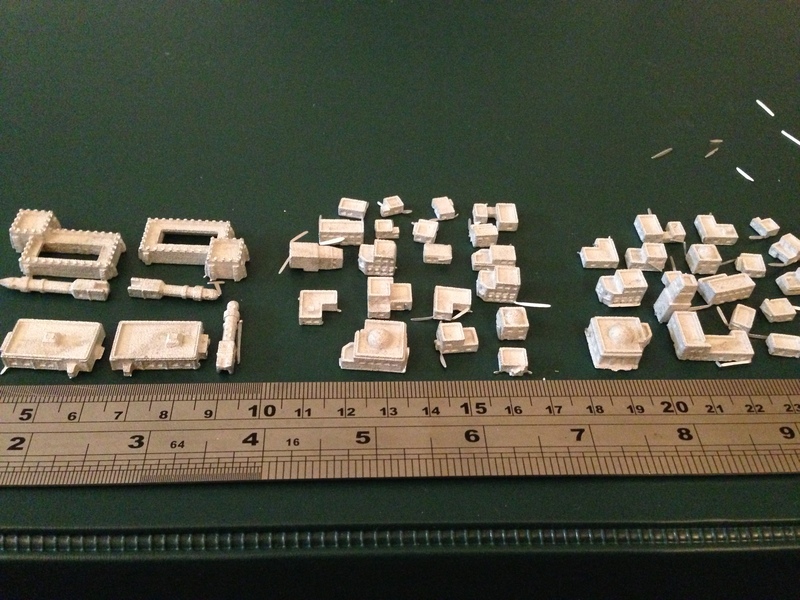 I have already received some terrain previously so thought I would lay it out tonight and see what I had in total. I have been thinking that for the Victorian Science Fiction project that I’ve nicknamed Peshawar, one end of the world will be the green fields of England and Holland, the other will be the dry wastes of Central Asia and the northern part of South Asia. Connecting them will be a train line. The track, stations and locomotives are shown above. 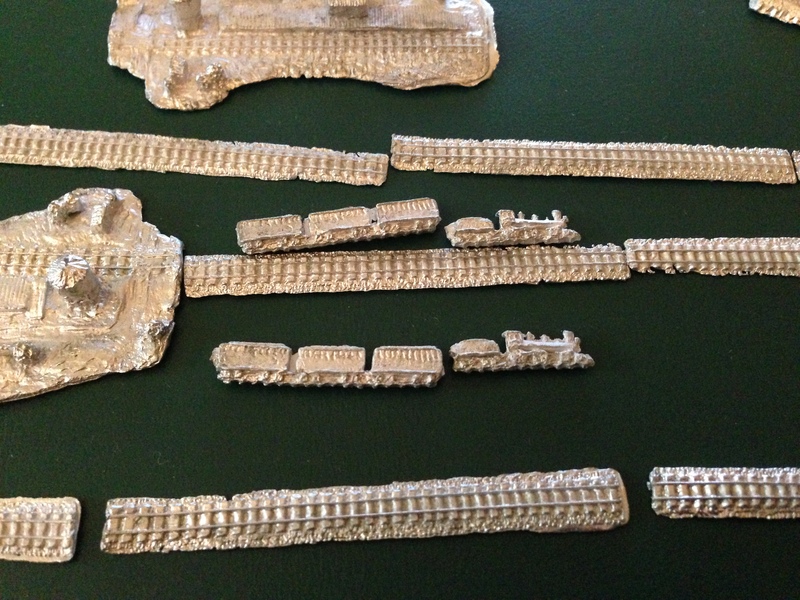 The image to the right is a close up of the locomotive and carriages and some of the track. I selected the 19th century Iron Horse set and whilst it looks a little American Western in style, the trains will work nicely for Peshawar. 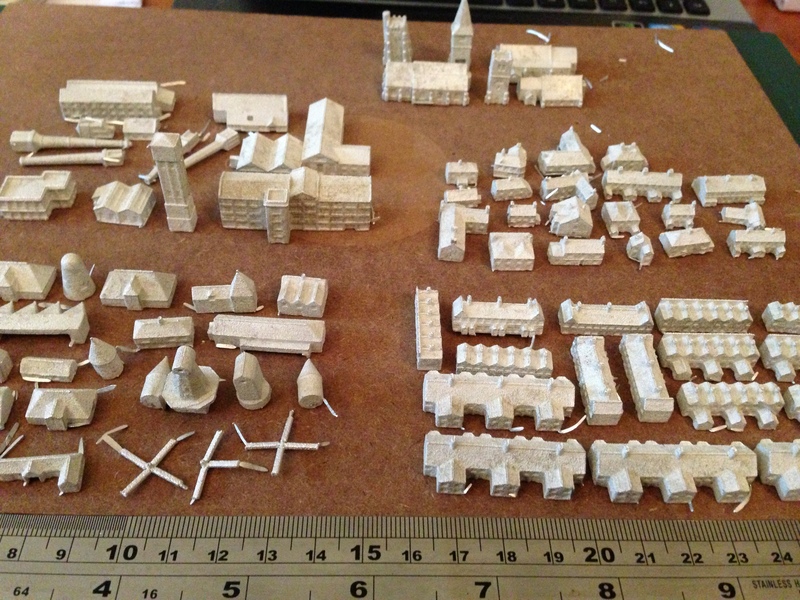 I had also ordered some terrain packs of villages, woods and hills, road sections, Middle Eastern village and buildings. They are illustrated below. 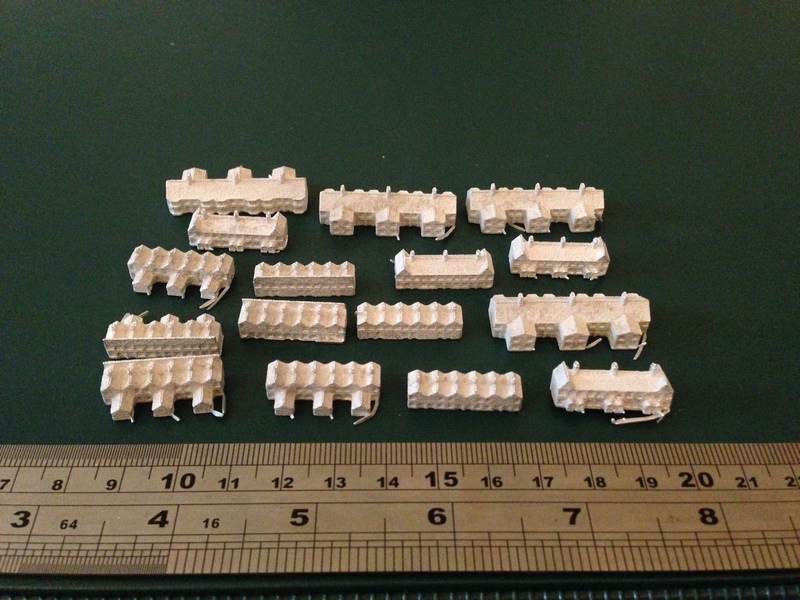 In what can best be described as a typical wargamer over achievement I also ordered buildings from Brigade Models as they had just released some really nice stuff too. Brigade also make the Aeronefs. The items purchased are shown below. I am now wondering how best to handle the terrain for the Aeronef game. Part of me says to keep it loose but that is not so easy with 2mm terrain, it is easy to knock and move around the table. In one of the photos below you can see a brown board. This is an MDF board, about 3mm think and slightly larger than a sheet of A4 paper. I have been trying to decide between modelling little terrain vignettes on small pieces of MDF with the edges suitable tapered to sit as throw down terrain on a table top. 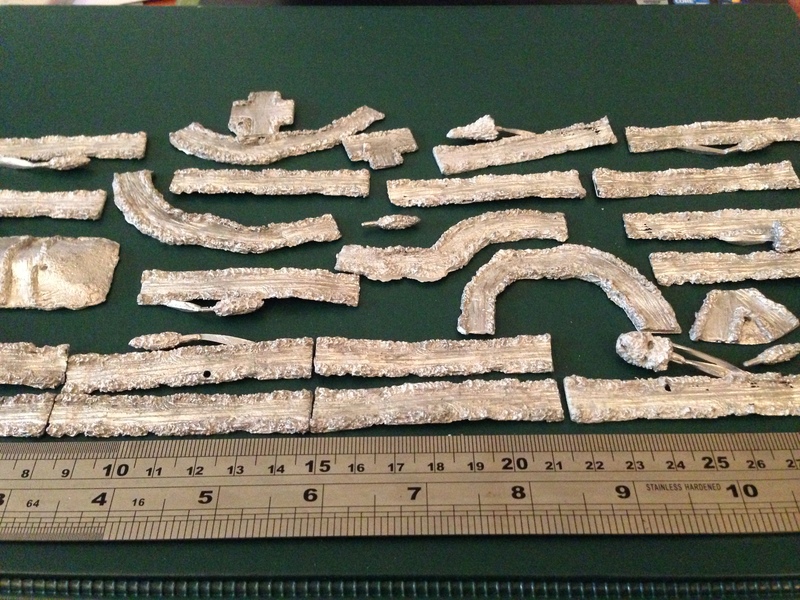 The other option is to build terrain squares on the A4 sized MDF sheets – some Central Asian/Middle East, the others European with some connecting pieces in between. Still pondering. In the meantime, below is the rest of the buildings and such I purchased. 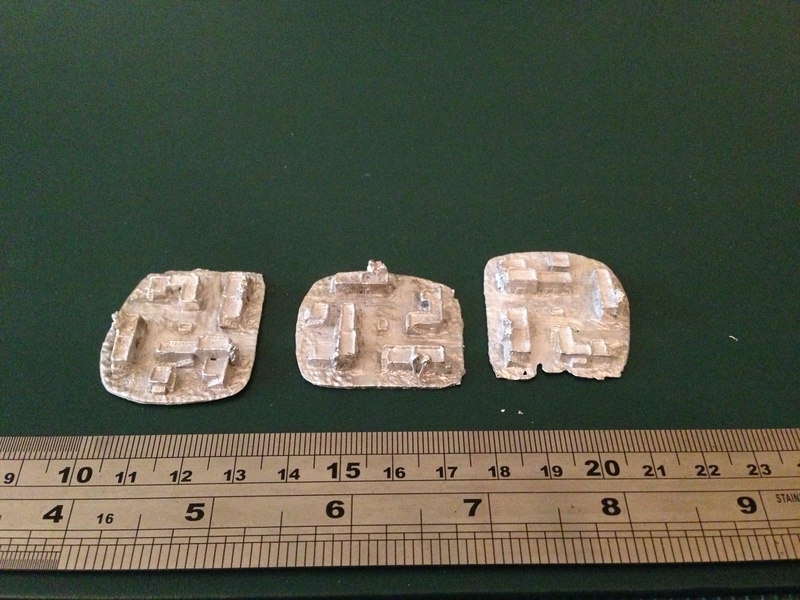 That looks great – most of my Aeronef terrain is old Irregular stuff which does the job OK, but not nearly as crisply cast. I ended up going with small vignettes to maximise flexibility, particularly when moving when Aeronef to Land Ironclads. The problem becomes on of how the flying stands sit over such terrain – I have a complex and likely unachievable plan to overcome it with a layer of perspex above for the Nefs while the LIs duke it out below them! Mind you, given that the Aeronef fleets will generally fly formation together, at least initially, two A4 sized Perspex sheets, one for each fleet and move the sheet might actually work. I have the fleet packs for Lissa – both Italian and Austrian. Some of those vessels are 6 to 7cms long so quite large relative to the ‘nefs but they look the business. With masts and such, they are quite tall as well. I’m wondering whether 1/2400th surface vessels may work better – an image at least of perspective – looking way down low. The 1/1000th is nominal – they range from about 1/800 to 1/1100 inconsistently.